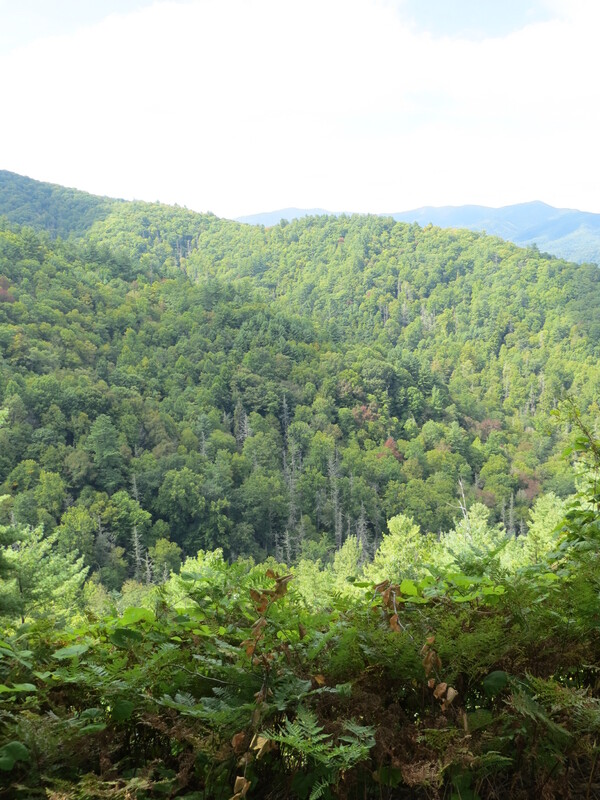 We spent one night of the past weekend camping in Cataloochee Valley in the Great Smokey Mountain National Park. 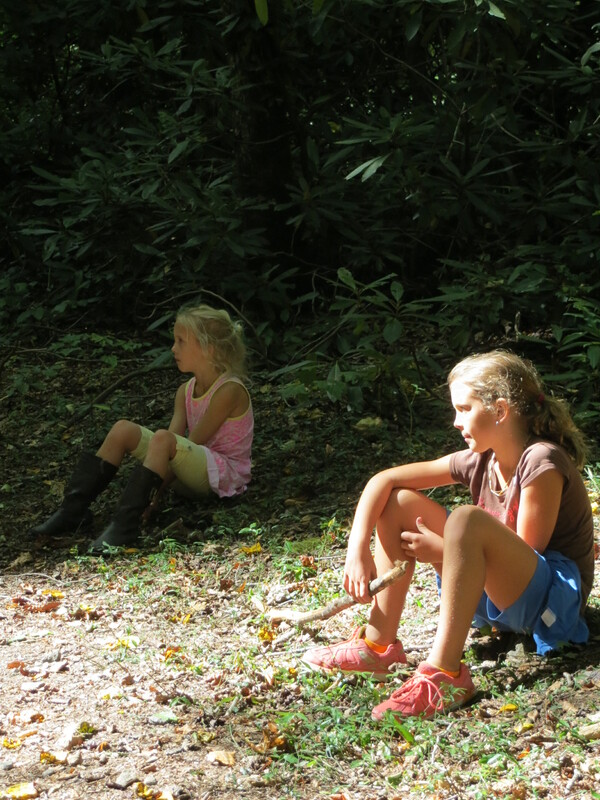 I took the girls out of school and we got there by noon. Amazingly, I have only been the the GSMN Park once before–last year when we went for a few hours and it poured down rain the entire time. The kids loved it last year so I decided to take them back this year. 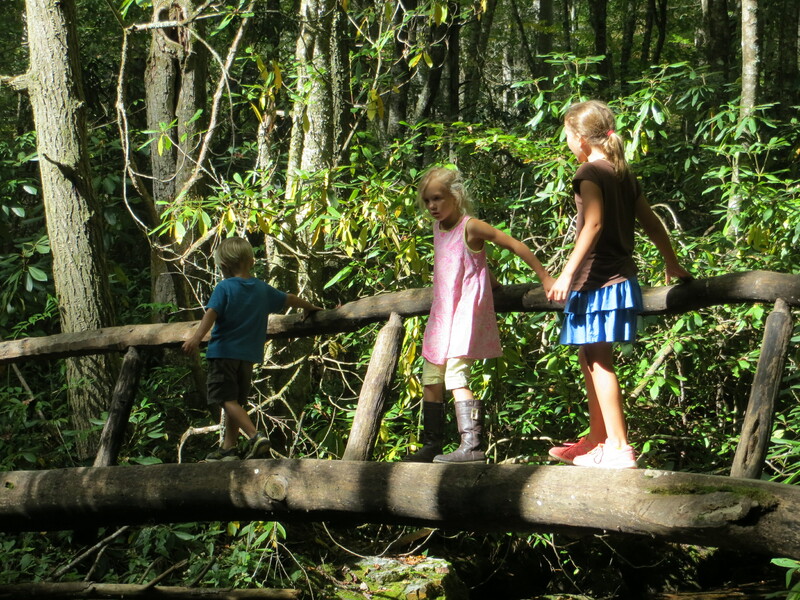 Cataloochee Valley is only one hour from our house. That is crazy close! And this is our second time going there! I feel a little ashamed. But, to get into this valley, you have to drive for 8 miles on one of the windiest, narrowest dirt mountain roads I’ve been on. It is a little scary. But, we got there. 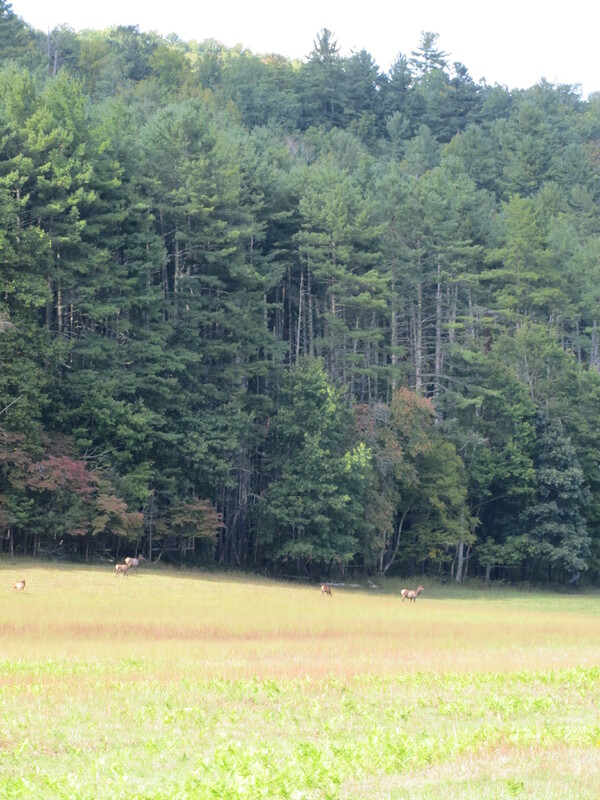 And, enjoyed a gorgeous day of elk watching (first elk any of us have ever seen), playing, and hiking. 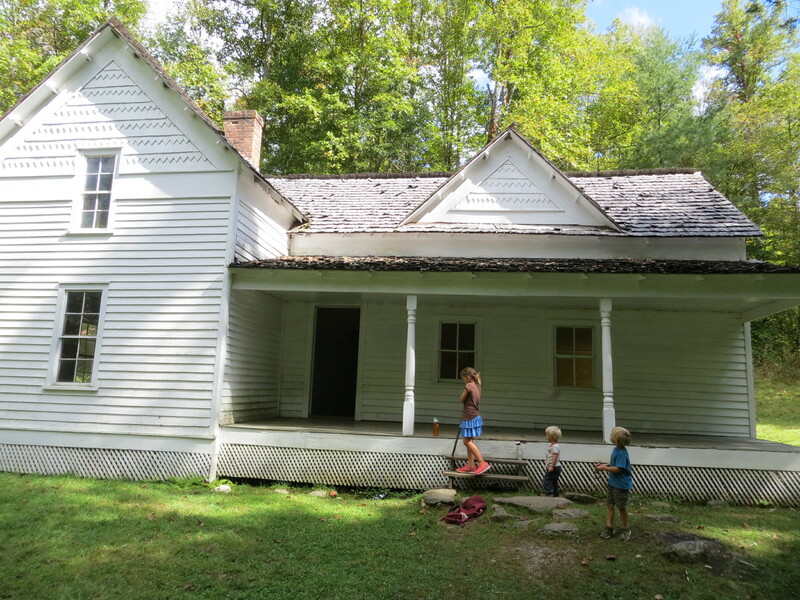 The kids were amazed with the elk, loved playing and exploring in the old buildings, and reluctantly hiked two miles to see one of the old homes left in the park. The buildings and a few cemeteries in the valley are what is left of a 1,200 person community that lived there 100 years ago. When the land became a National Park in the 1920s, the government paid landowners to leave. Some stayed out their lives in their homes, but nearly everyone had to leave. 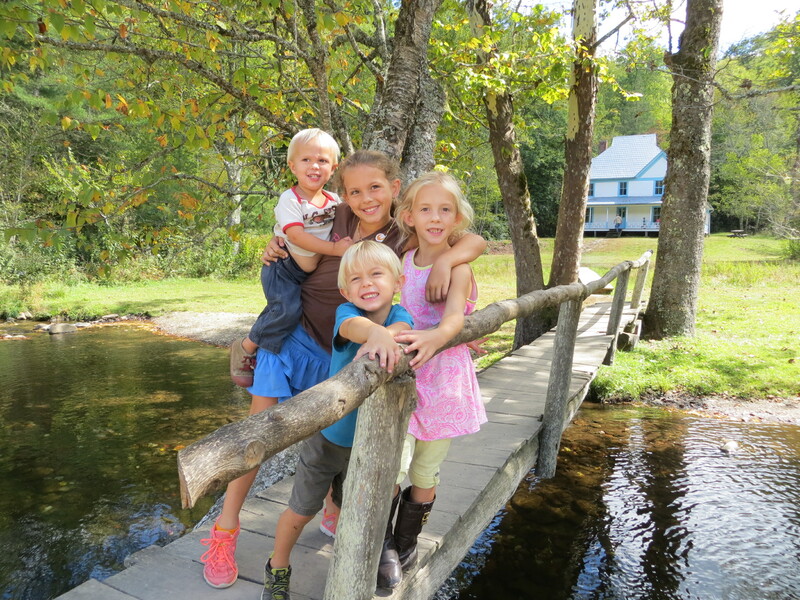 There is a reunion of the families from the valley every year. 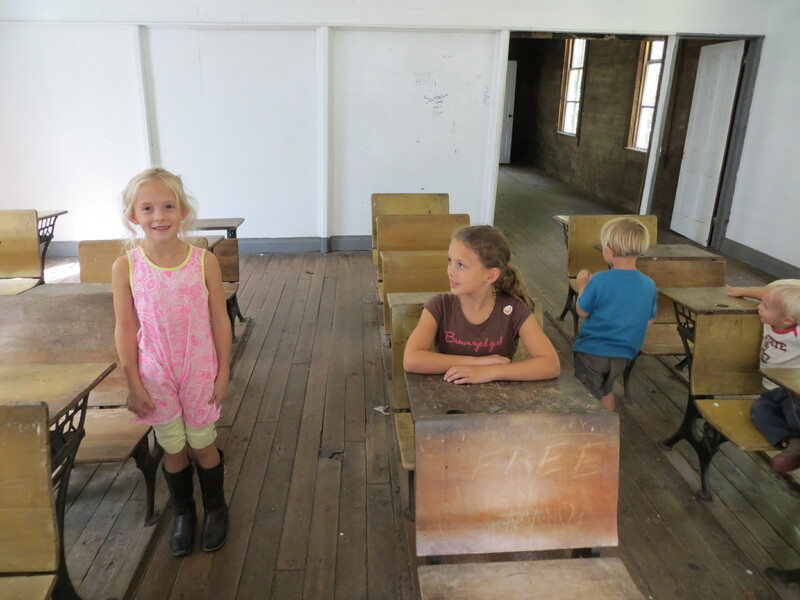 The school house is my children’s favorite place, where we play “one room school” and I am the teacher, quizzing them on math, state capitals, and spelling. I love to visit the homes and imagine what each room was used for, who lived there, how they used their home, what they loved about their home and family, what they did everyday, what fun times they had, what troubled times they had. 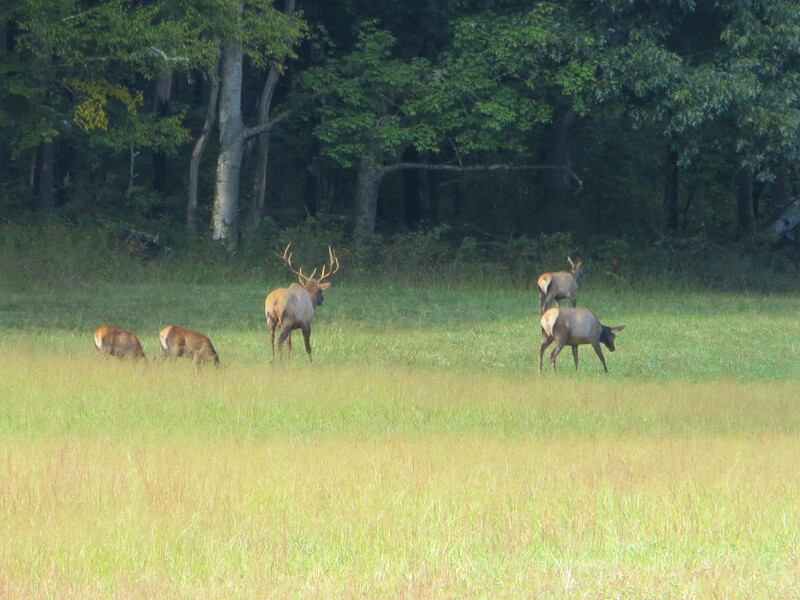 The elk were the highlight of the trip and we got to go out right before sunset withe William (he came over after work). Lots of people park on the side of the narrow dirt road in the valley, quietly tailgating for hours with their chairs, drinks, and binoculars. 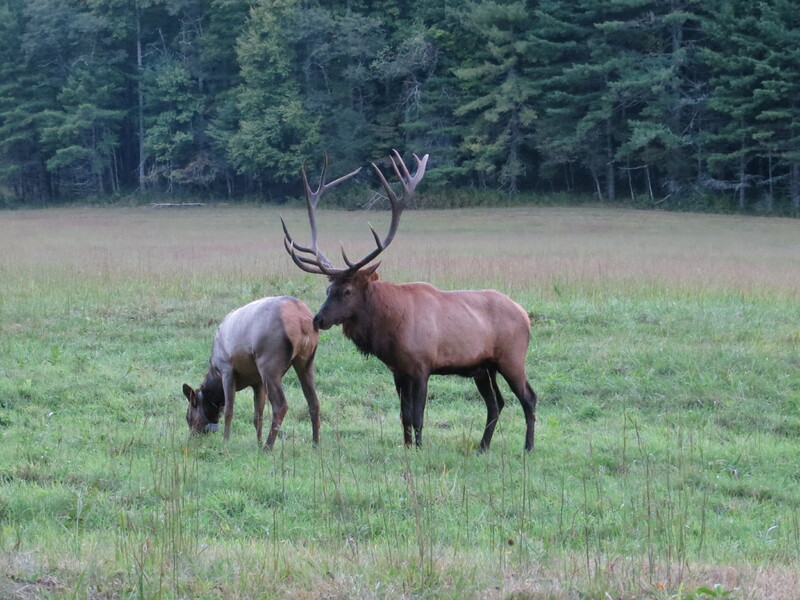 We saw elk bugling, fighting, trying to mate, and grazing. But, I also enjoyed seeing so many people and families quietly enjoying the spectacle of nature. I kind of wish I had taken pictures of the tailgating, but I only tried to get the elk. Gratitude for National Parks! Gratitude for the beauty and pleasure nature provides!